The Cohiba Cuban cigars are best full-bodied, robust handmade cigars on the market, which are produced from the tobacco blend cultivated in the Veulta Abajo region, in the San Luis and San Juan Martinez zone in Cuba. They have a premium blend tobacco. The prominent aromas and flavors found in the Cohiba Cuban cigars is cedar wood and honey with hints of spice, chocolate and vanilla. Some of the brands have a dark wrapper, whereas others have a caramel to dark-brown wrapper. 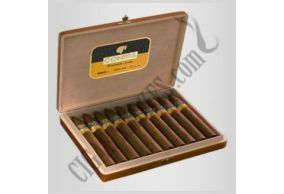 The authentic Cohiba Cuban cigars are by far the most sought after, with an incomparable to any other on the market. A variety of lines were launched during the years, including the Linea 1492, that consisted of the Siglo series, in honor of the “King of Exploration Christopher Columbus , a brand centenary, the Edicion Limitada and the Linea Clasica. The Cohiba Cuban cigar band is known globally.